During Thursday night's Republican presidential debate, one candidate proved he'd seen the recent SNL spoofs of the GOP field ― Dr. Ben Carson said "wake me up" during the debate, referencing his somewhat sleepy reputation. Although if you've been following the Republican debates with any amount of attention, you can probably get the joke without even getting the reference. 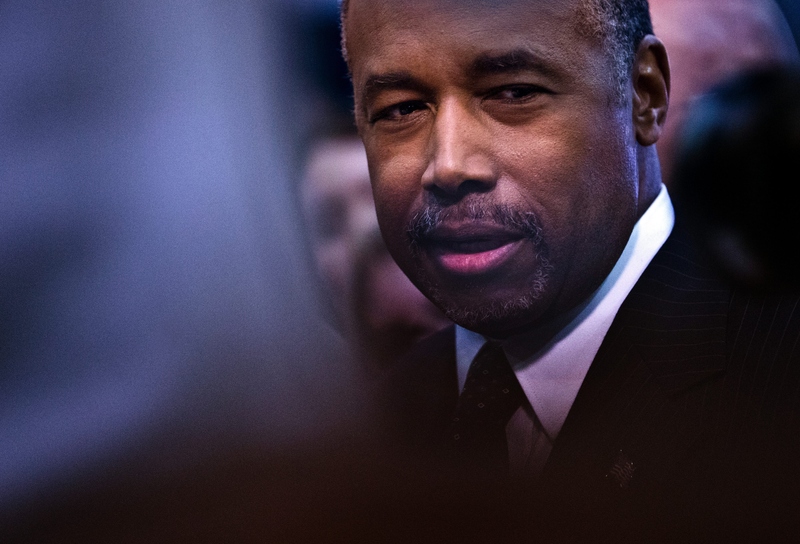 Simply put, Dr. Carson is a sleepy-eyed, soft-voiced kinda guy, and he's drawn his fair share of criticism and mockery over it. But it never hurts to demonstrate that you've got a sense of humor, and that's exactly how Carson decided to kick off his night on the debate stage. Referencing one of SNL's occasionally hilarious recent cold opens, in which Jay Pharoah portrayed Carson as secretly slumbering behind a pair of eyeball-glasses. Carson is clearly aware of this reputation, as illustrated by his joke. When the moderators called on him, he said, "I was going to ask you to wake me up." It was clearly halfway intended as a jab at the moderators not giving him some time sooner, too, but regardless, it was a brief and fun little moment. He might want to be careful playing into his own stereotypes, though ― in debates this long, can you ever be sure you won't doze off? Carson might have also been channeling your favorite guilty pleasure: Wham! Look alive, Carson. Look alive.